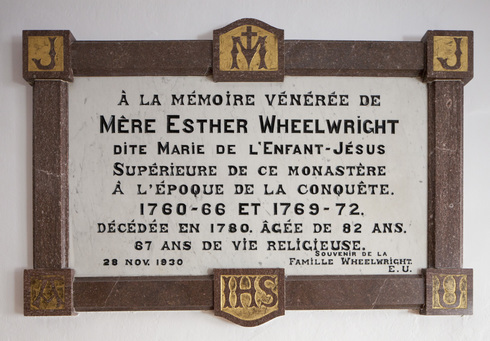 During the British bombardment of Quebec City in 1759, Esther Wheelwright de l’Enfant-Jésus was the Assistant Superior and supported the decision to send our community to seek shelter with the Augustinians. The next year, she became our Superior. She held this position for nine years. As an English speaker, she was a skilled representative of our community with the British authorities. She allowed young British girls to attend the boarding school, thereby lessening the financial strain our community endured during the Conquest. © Ursulines de l'Union canadienne 2019.